The Racial Profiling Education Solutions (RPES) is a diversified, progressive set of highly participatory cultural education modules designed to provide law enforcement professionals with the tools to better understand various cultural differences, and to enhance their skills in interacting with the multicultural citizens they protect and serve. 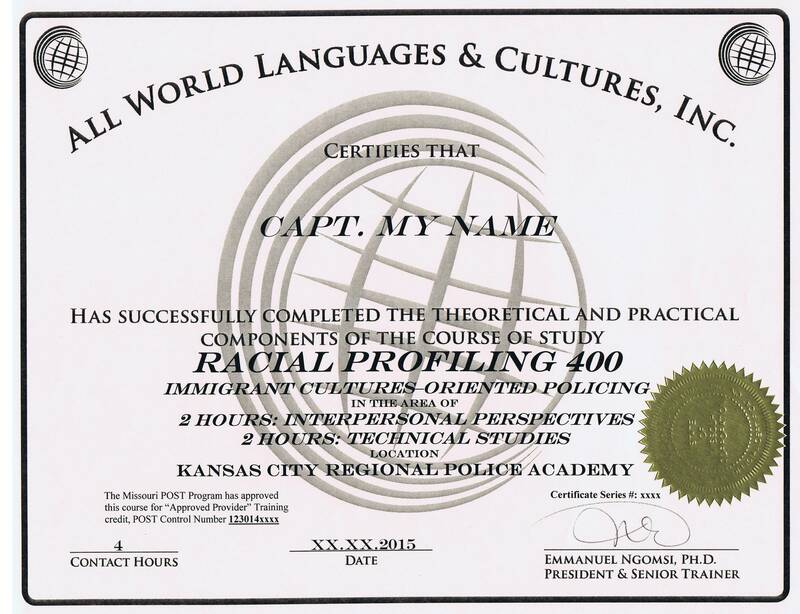 For many years in our class evaluations, officers repeatedly submitted questions indicating that they wanted to learn more about the cultures of the diverse citizens that they are sworn to protect and serve. The need for diversified courses was obvious. Class participants’ questions covered a wide range of cultural constructs that needed to be addressed in order to prepare them to appropriately resolve the challenges they face with an increasingly diverse citizenry. Most importantly, they requested keen strategies that would allow them to build cultural bridges and trust with the communities they serve. 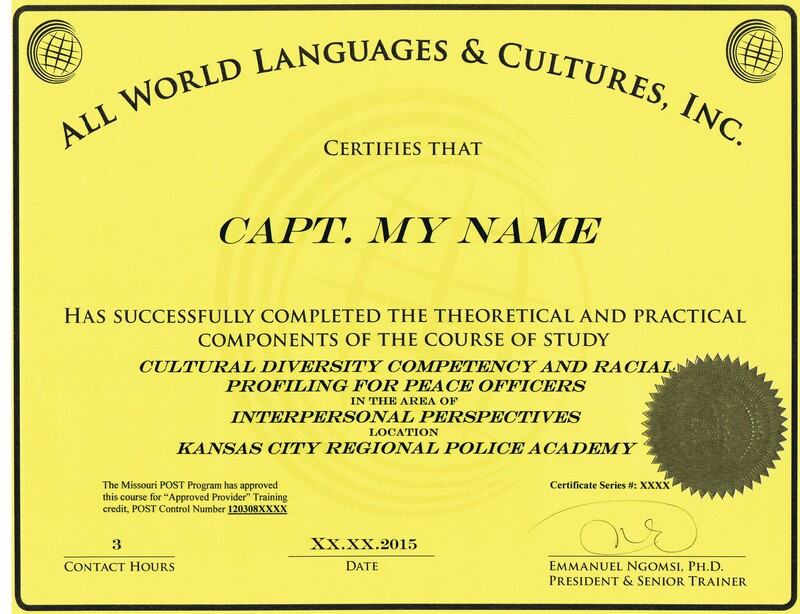 Officers liked our class discussions, incidents and case studies because they are centered on enhancing an understanding of, and sensitivity to all the cultures involved in their interactions with the public. 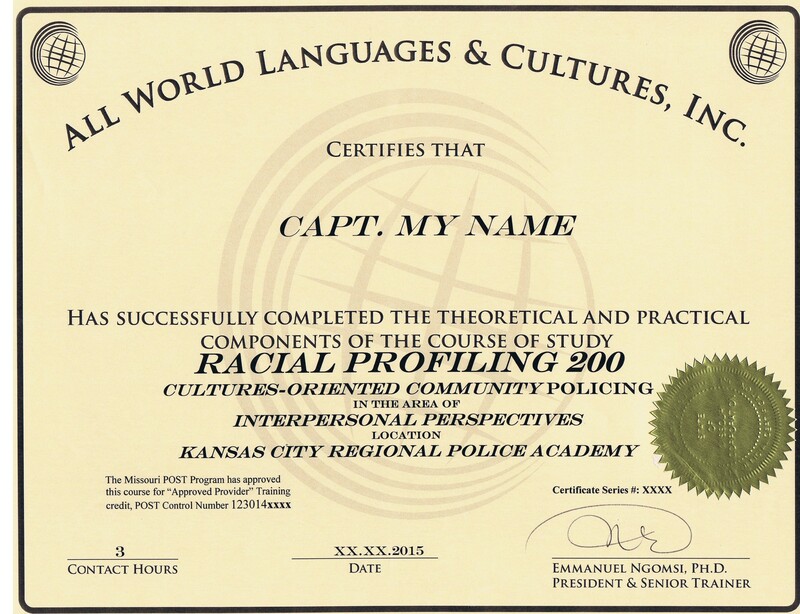 They resent it when the focus of the training is on race alone; race is only one of the many cultural elements that impact the interactions between law enforcement officers and their community. As a result, numerous incidents of “racial profiling” sometimes have more to do with many other cultural considerations than race. Should the official term “Racial Profiling” be rather understood as “Cultures Profiling?” Time after time, research shows that people who deeply understand the cultures with which they are surrounded are successful in providing better services to individuals within these cultures. Law enforcement professionals would be better served and serve better the communities they deeply understand the cultures. It is with all the above considerations that we developed these appropriate and diversified training modules.